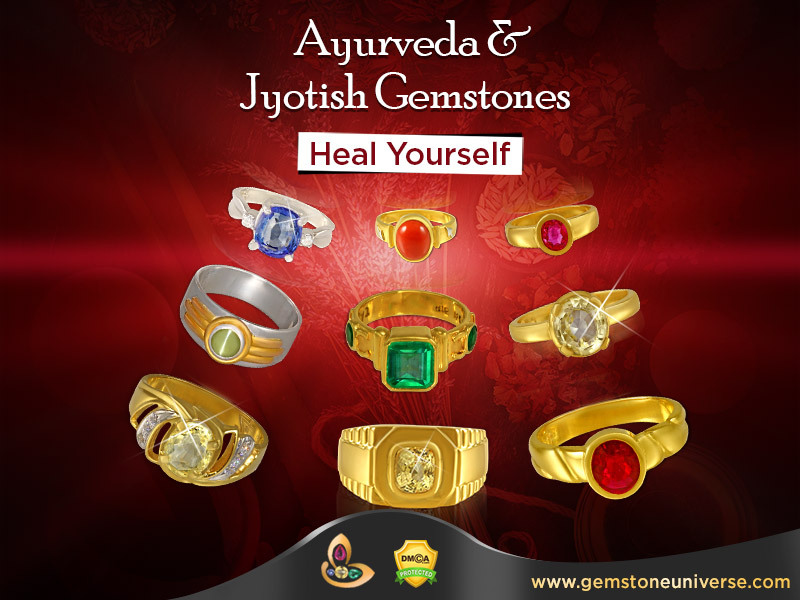 Heal your mind, body and soul with Gem Therapy and Ayurveda-Balance the tridoshas of the body with Ayurveda Gemstone Therapy. 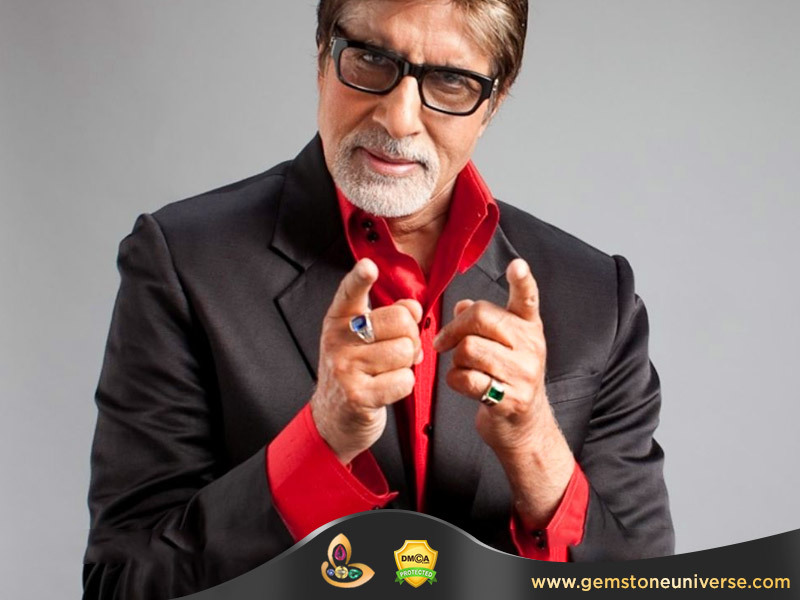 Gemstones are miracles of nature and the supreme consciousness has embedded healing qualities into each of the gemstone. Ayurveda– literally translated as the Science of longetivity is the holistic, traditional system of Indian medicine that aims to bring health and happiness to the individual. Ether/Space also known as Akasha. The structural element of the Human Body is made of the 5 basic elements which combine together in various forms to make the functional aspect of the human body. These 3 tridoshas or functional aspects of the human body are present in each human being and govern the biological, pathological, psychological changes in the body. 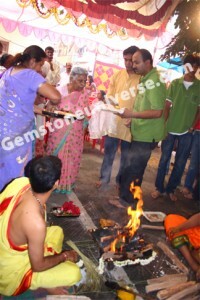 Each individual will have a unique combination of these 3 dosha’s producing a distinct personality. Each cell, tissue, organ, organ system will also have its own unique combination of these tridoshas. This is the most important all of the elements because VATA is primarily that element that causes all movement in the body and the imbalance in vata causes imbalance in kapha and pitta also. 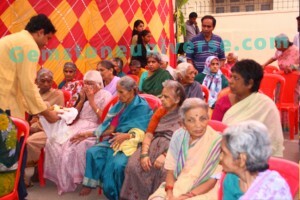 All eliminations of the body including excretion of urine and faeces and relay of all sensory input from the sense organs to the brain is controlled by the VATA element. – Dead tired but still cannot get sleep. – Emotional highs and lows. – Shy, introvert, self defeating, reclusive. 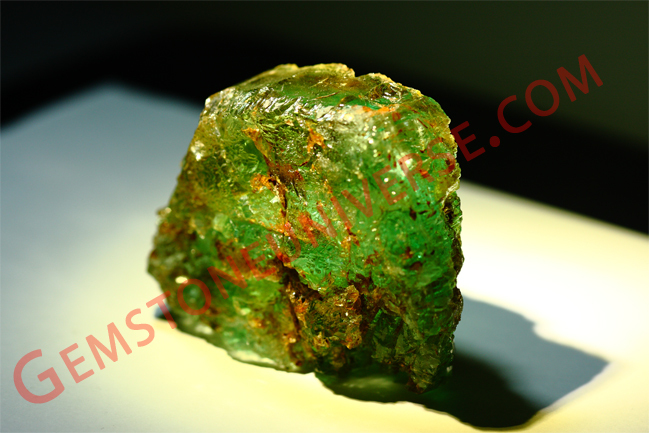 Gemstones also are composed of the panch mahabootas and have been used in the Indian system of healing since eons. They fortify the immune system, re calibrate the dosha imbalance and bring the human body and mind in the state of homeostasis and harmony. 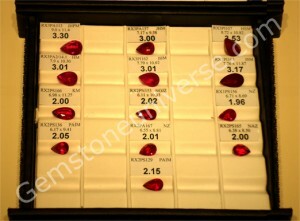 Identification of correct dosha and recommendation of the correct gemstone brings in tangible and quantifiable results. – Excessive mucous/congestion in the chest, upper respiratory tract, nose and inflammation of the sinuses. – Dull, depressed and self-demeaning behaviour. – Loss of all material and spiritual desires. No tangible goal setting. – Feeling of being drugged and lethargic. – Sluggish digestion, obesity, oedema. – Tend to live in the past. Cannot move on in life!. Cling onto to past events and people. – Excessive body heat and sweating. – Mysterious fevers and boils. Once you know you correct dosha type and understand with the help of the Ayurvedacharya/Certified Ayurveda practitioner the balance you need to achieve you can select gemstones after proper consultation with a certified Astro Gemologist who will be able to select gemstones that will have a therapeutic effect on the mind, body and soul. 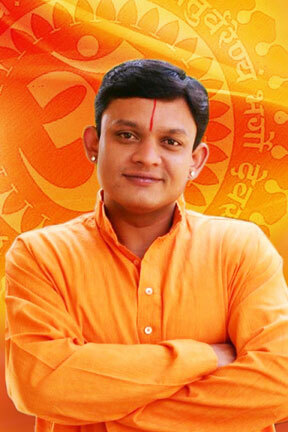 – Identify you correct Dosha Type. 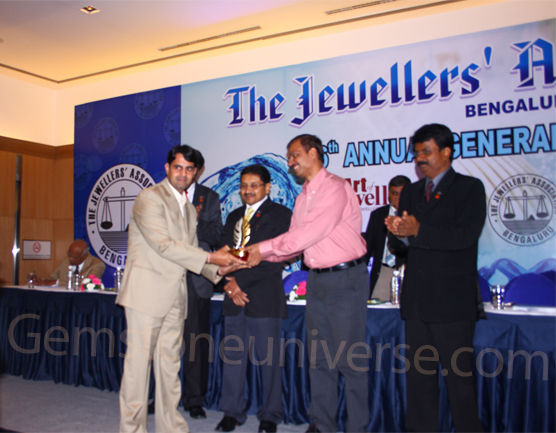 – Identify the gemstones that will balance that dosha. 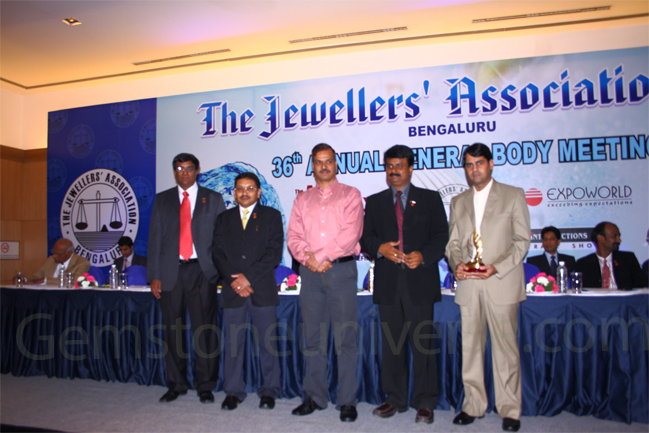 – Identify the gemstones that will aggravate the dosha and stay away from them. 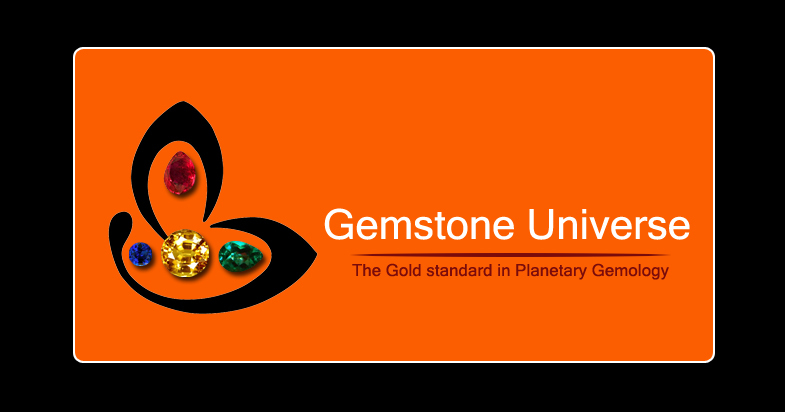 – Wear only Natural, untreated gemstones with good clarity levels. 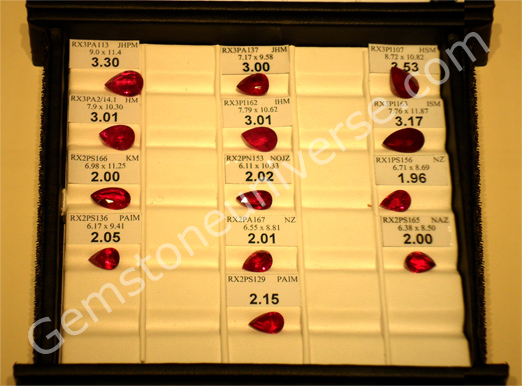 Comments This is a great example of how to implement Gemstone therapy correctly especially for those on a budget. 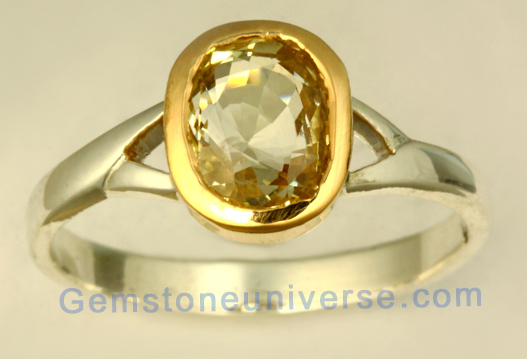 Gorgeous unheated Yellow Sapphire with fantastic clarity levels. The mounting of the ring is like the throne of the planetary God which in this case is Jupiter. The mounting is made of Gold to save costs and the ring is made in silver. No compromise is made on the Gemstone quality which is a great thing to do. Here is an example wherein the implementation is correct despite budgetary restraints. 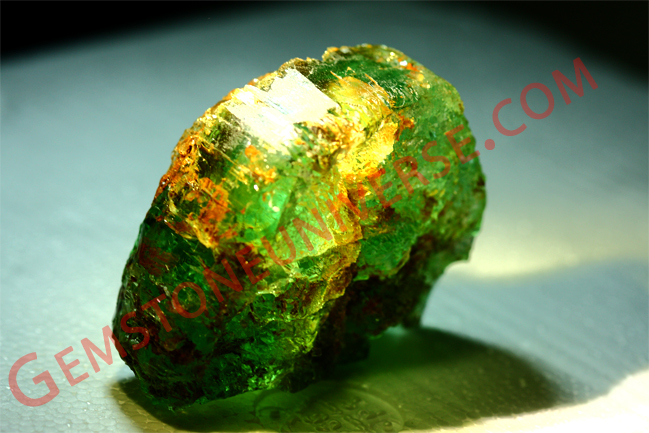 Great unheated, untreated clear gem above 2 carats set mounted in gold. Where there is a will there is a way! In fact, the two tone effect has quite a charming aura of its own!